If you live in St. Louis you probably know that Wilco's show on May 4th at The Pageant sold out in like 30 minutes. So that might have been a bummer for some of you out there. We know. And that's why we're giving away TWO PAIRS of tickets to the show. You can enter via the VERY SPECIFIC (NOTE: THERE ARE BONUS OPTIONS) instructions below. But first. 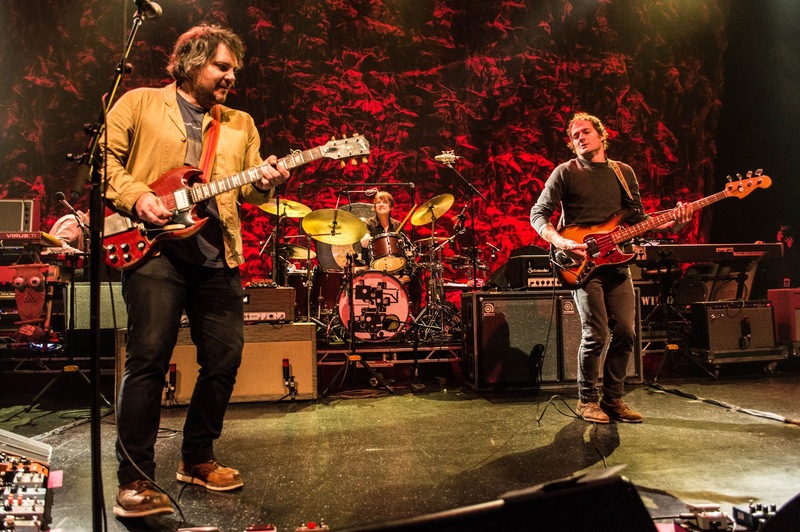 Here's why we love us some Wilco. 2. Leave us a message on our Facebook page (leaving it as a comment on the original contest post is fine). BONUS: Share the link to the contest (tag us at #speakersincode in the comment of your share), and your name WILL BE ENTERED TWICE. 3. Send an email to: jason.speakersincode@gmail.com with the subject: "WILCO Tickets." THIS IS THE "NOT AS FUN" OPTION...haha. 4. LIKE and COMMENT on the photo on our Instagram. BONUS: Re-gram the photo we're about to post AND tag @speakersincode in your caption, and your name WILL BE ENTERED TWICE. The contest will run through Thursday, April 30th at 5PM, and we'll randomly pick and contact the winners shortly after (if you enter through FB, we'll announce your name on our FB page). Good luck!